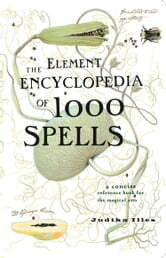 The definitive magic reference book for Witches, Wiccans and all devotees of the magical arts. This is the real version of the archetypal master spell book of fantasy that has a place in our collective imagination. Today there are many books of spells for specific needs and occasions for the practising Wiccan/witch, but no comprehensive and inclusive magic reference book exists. 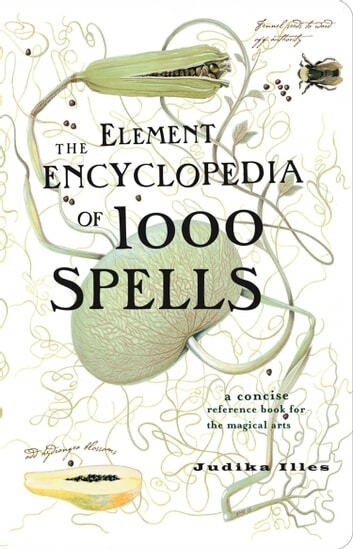 The Element Encyclopedia of 1000 spells is the magical equivalent of a prize and inspirational cookbook: nothing is too basic to be explained and yet sophisticated tastes as well as emergency situations are catered for. This book goes beyond merely the Wiccan tradition to include a multitude of eastern and western magical traditions whilst fulfilling the archetypal fantasy of the grand grimoire (master spell book). This book is that fantasy made real.